Step on the scale, and within seconds it takes 10 dierent essential health measurements, giving you comprehensive data about your health. Body measurements are sent instantly to your smartphone each time you step on, making it easy to track weight loss and health progress. 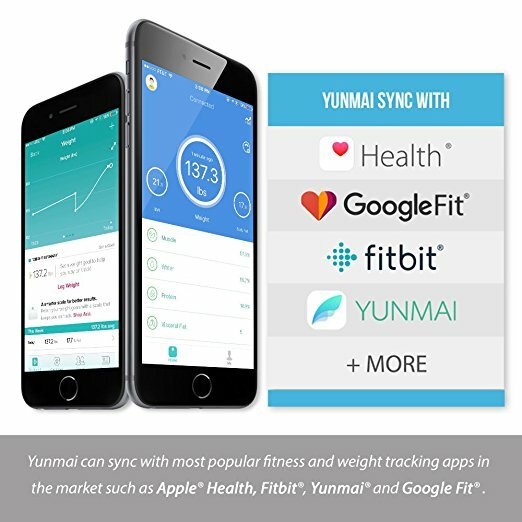 Yunmai precisely measures Weight, Body Fat, Muscle Rate, Water, Bone Mass, Visceral Fat, BMR,BMI, Protein, Body Age. Bio-impedance sensors give you precise results, every time. No need to bother with Wi-Fi or setup instructions to get started. 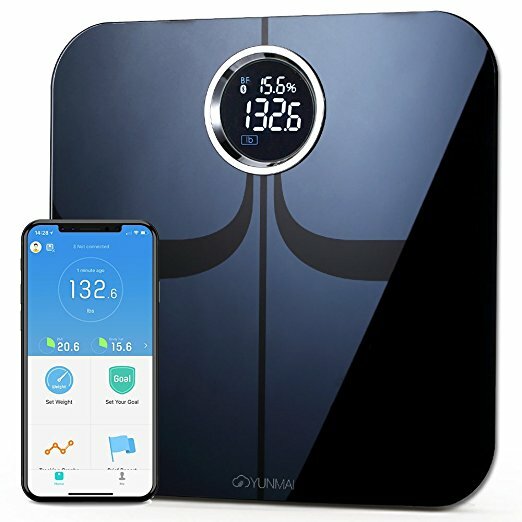 Simply download our app to your smartphone, connect to Bluetooth, and have your stats within seconds of stepping on the scale. Yunmai uses BIA(bioelectric impedance analysis), which is a commonly used technology. Please check with your doctor if you are pregnant, or have a pacemaker, electrocardiographs and/or other medical devices before use Yunmai. Only weight will be measured for users under age of 18. The YUNMAI 2. 0 App connects your real-time body metrics to a world of data charts, social sharing, and fitness tracking. Simply step on the scale to instantly connect your profile and begin pushing data to your app. No additional setup is required, so you can begin tracking instantly. After you download your YUNMAI App, select your name, gender, height, and age to set up a profile. Make sure your phone’s Bluetooth is turned on and step on your scale with bare feet. Wait 2 seconds to see your weight displayed on both the scale screen and as a live update in your App. Scroll down to view all 10 health indicators, or select the graph icon in the upper right-hand corner to view visual reports. For multiple user modes, select your profile (“Me”), then select “Family Members” and add a user or temporary guest. You can also connect to your FitBit or Apple Health account by selecting your profile (“Me”) and customizing your user settings.